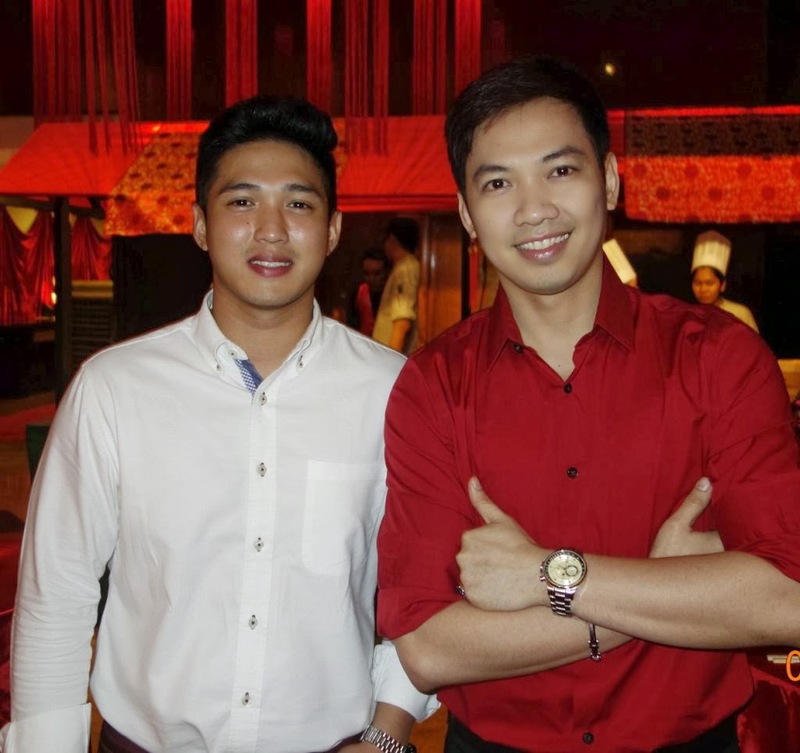 Discovery Leisure Company's top honcho guys-dynamic COO Jun Parreno, David Pardo de Ayala, GM of the soon- to- open Primea Hotel and Residences and Leeds Trompeta, GM of Discovery Suites -were all present to welcome the guests for their Year of the Wooden Horse celebration. I arrived promptly at 6 PM, and was happy to be an early bird as the Peking Duck was warm and crisp and I enjoyed every sumptuous bite of it! Excitement was building as more and more invitees poured in. My group of friends soon arrived and joined me in enjoying the delicious Chinese dishes in the different pagoda booths. The suckling pig and Peking duck were instant faves. The program started with a welcome greeting from Leeds Trompeta, GM of Discovery Suites followed by a speech by John Tiu, President of Discovery World. 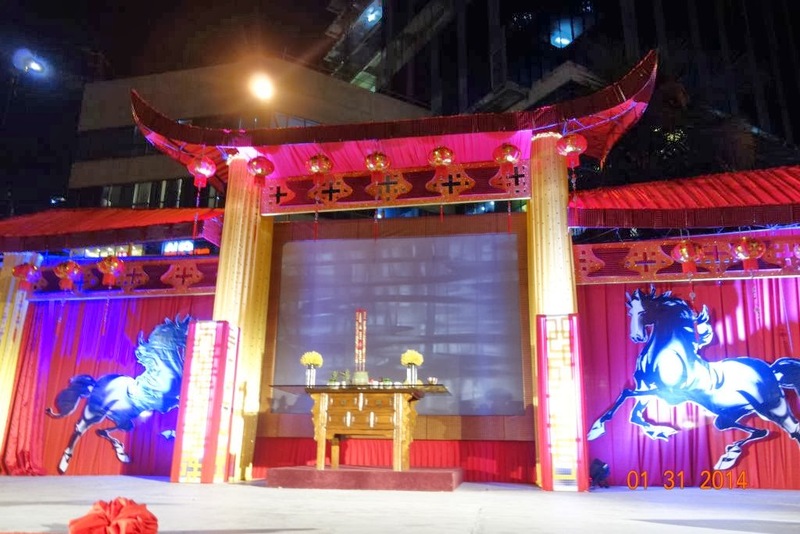 The highlights of the program were the traditional Taoist blessings from Feng Shui Master Joseph Chau, the Dragon and Lion dances and the Dragon Eye Dotting ceremony. 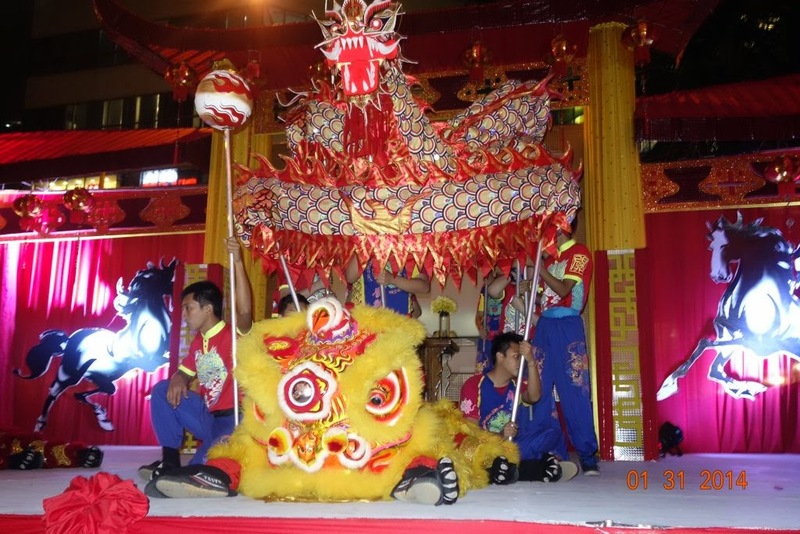 The stage was a sea of reds and yellows with the colorful Dragon and Lion. Fireworks capped the program, welcoming the official onset of the Year of the Wooden Horse. After the program, we went back to the lobby for a drink or two, before calling it a night. Kudos to John Parreno and his staff for the detailed planning of the entire event. The cuisine, the drinks, the program, the lobby decor were all world class. Not to forget the impeccable service with a smile-which is the trademark of every Discovery Leisure property. Kung Hei Fat Choy! Happy year of the Wooden Horse! With the COO Of Discovery Leisure Group, the one and only, Jun Parreno. it was a spectacular program! Kudos to the COO and his Discovery staff.